October 24, 2012 — I sometimes go to silly extremes to wring every bit of black and orange out of this season. Turning Willy Wonka into a candy-eating game. Setting up a theater in my barn attic. Making an alien casket out of a cardboard furniture box. Honestly, though, no matter how much fun a Halloween activity is, it just never gets any better than cookies and Garfield’s Halloween Adventure. Or, you know what I mean. Caramels and Charlie Brown. Miniature Snickers and Fat Albert. 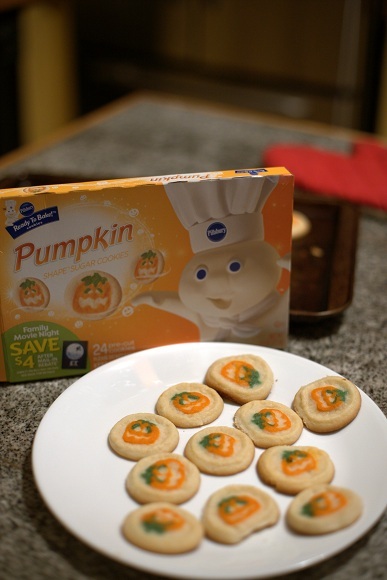 It’s just that for us, the other night, it was Pillsbury jack-o-lantern sugar cookies and Garfield’s Halloween Adventure. It’s exactly how I celebrated as a child during those dark years when I was too old to trick-or-treat but still too young to do anything else with the holiday. Then I would go outside in the dark and wonder why the heck Halloween night seemed so different. Like a sheet ghost costume. Like three triangles and a crescent mouth. 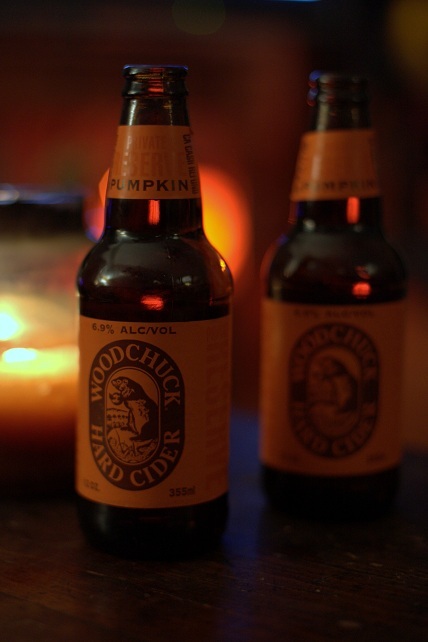 Speaking of different, we chased those cookies with Woodchuck Private Reserve Pumpkin hard cider. 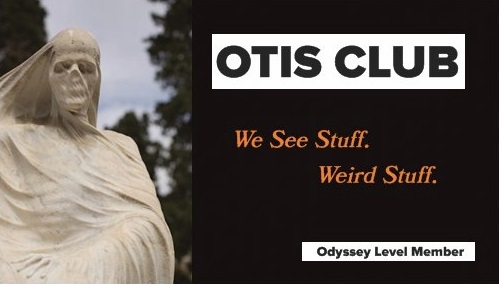 I still don’t know what to make of it. Sweet with a slightly bitter aftertaste, like eating the wrong parts of a vegetable. Just makes me realize that I need to stop describing how things taste. Not one of my strengths. And anyway, no cider has ever done better than Woodchuck’s Fall hard cider (Ha. Fall hard). None. Not one. 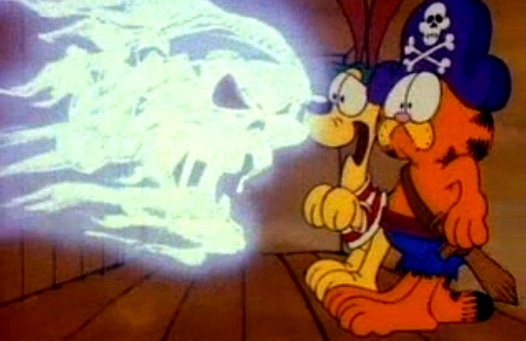 Just like nobody has done pirate ghosts better than Garfield. Not Scooby Doo. Not Sponge Bob. I feel like the clue to unlocking the entire mystery of Halloween is somewhere in that old house above that buried treasure. It’s there. If I watch it enough times, I’ll see it. Garfield and Odie start out in a mundane world of yellow walls and breakfast conversation, pass through a limbo where ghost costumes hide giant hairy legs or thin air and monster masks hide monster faces, and then end up in a creepy old house on a creepy old island where a creepy old man awaits creepy pirate ghosts. You know. Where every Halloween night should end up. Between the second and third bottle of cider maybe. The fifth and sixth sugar cookie. The eighth and ninth belt hole. But this is not a review of Garfield’s Halloween Adventure. I reserve that for some future post for some future Halloween season where I can really get into it. Break it down to its component parts. A fat orange cat singing with Lou Rawls voice. A suspiciously awesome pirate song. An alien creature going out on the town as a costume option. Odie panting through a jack-o-lantern. What this post is, well, it’s probably the kind of post that I regret the next day. 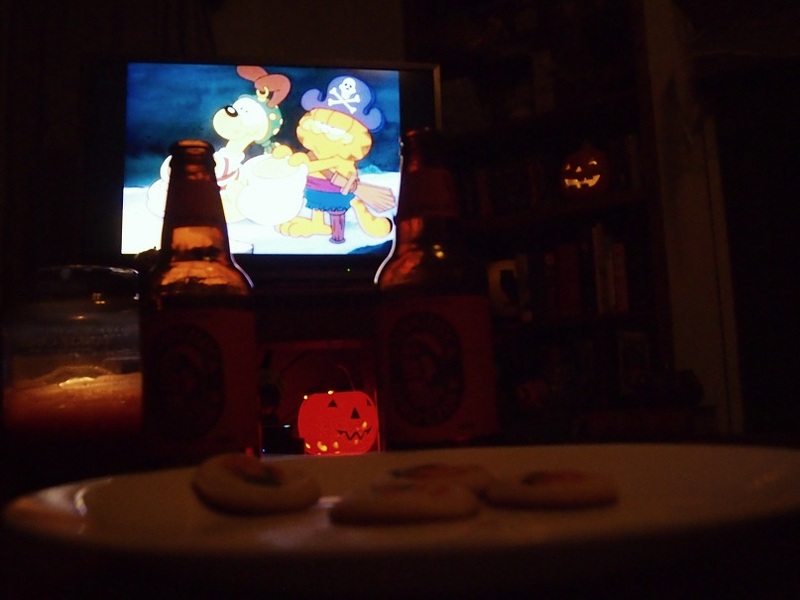 Nevertheless, cookies and Garfield’s Halloween Adventure. The season’s not getting any better than that. But I have seven days to keep trying to equal it.